(TibetanReview.net, Dec10, 2015) – Marking the 20th anniversary of his enthronement, China’s party boss in Tibet Autonomous Region (TAR), Mr Chen Quanguo, has on Dec 8 called on Gyaltsen Norbu to draw a clear line with Tibet’s exiled spiritual leader, the Dalai Lama. China enthroned Gyaltsen Norbu as the reincarnation of the 10th Panchen Lama in a deliberate snub against the Dalai Lama who had months earlier recognized six-year-old Gedhun Choekyi Nima as the 11th Panchen Lama, Tibet’s second most prominent religious figure. The Chinese government took away Gedhun Choekyi Nima and his family a couple of days later, to be never seen or heard from again. Chen Quanguo, the party secretary of TAR, has called on Gyaltsen Norbu to “Resolutely draw a clear line between the 14th Dalai Lama and firmly reject all subversive separatist activities,” reported Reuters Dec 8, citing China’s local party mouthpiece Tibet Daily. He has called on the so-called 11th Panchen Lama to “unswervingly walk with the party” and safeguard national unity. 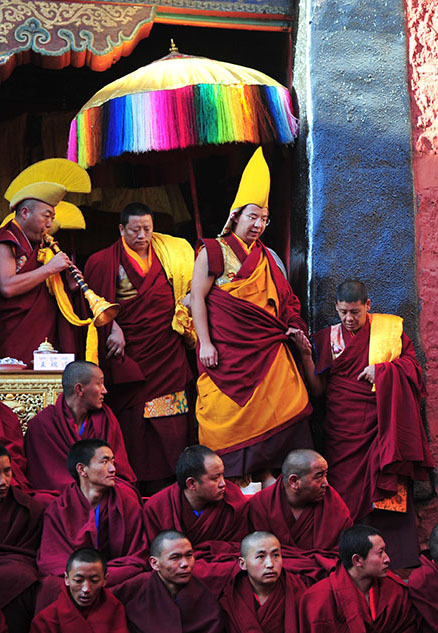 Chen was at Tashi Lhunpo, the traditional seat of the Panchen Lamas, in connection with the 20th anniversary celebrations of Gyaltsen Norbu’s enthronement. Most Tibetans do not accept him as the real 11th Panchen Lama. China keeps and educates him in Beijing and brings him to the Tibetan regions only for occasional visits, such as for the current enthronement anniversary. 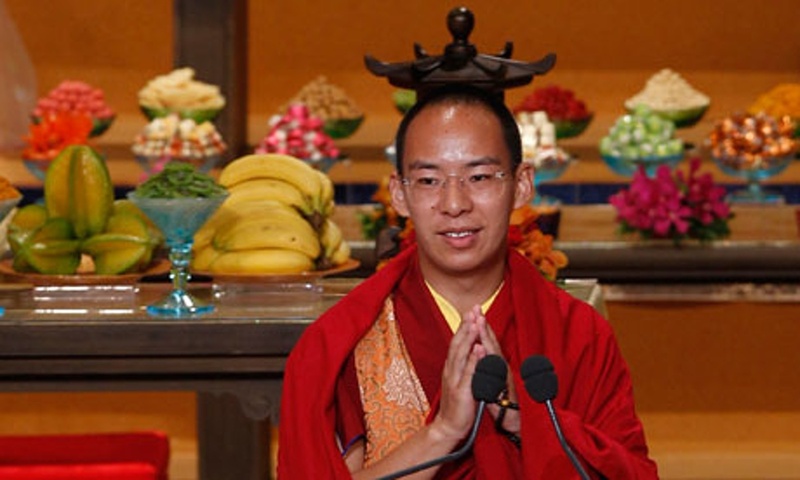 Reporting on the enthronement anniversary ceremony, China’s official Xinhua news agency noted Dec 8 that the Panchen Lama is the highest ranking lama after the “Dalai” in the Gelug school of Tibetan Buddhism, the most influential of the four main schools. The report said Officials from the United Front Work Department of the Communist Party of China (CPC) Central Committee, State Administration for Religious Affairs and the Tibet regional government took part in the ceremony. They included, apart from Mr Chen, Mr Sita, an ethnic Tibetan and vice minister of the United Front Work Department of the CPC Central Committee. Gyaltsen Norbu as the 11th Panchen Lama to the Chinese government is currently one of several vice presidents of the Buddhist Association of China and a member of the Standing Committee of the Chinese People’s Political Consultative Conference (CPPCC) National Committee, the country’s top political advisory body. More recently, he was, on Nov 28, “elected” the chairman of Tibet Development Fund, described as “a non-governmental, non-profit organization”.